Drug addiction is a complex illness characterized by intense, and, at times, uncontrollable drug craving, along with compulsive drug seeking and use that continue even in the face of devastating consequences. While the path to drug addiction begins with the voluntary act of taking drugs, over time a person can lose control over their ability to stop using. If you or someone you know has a problem with drugs, this page has step by step guides that can help: http://www.drugabuse.gov/related-topics/treatment. It takes time to recover from addiction—not only for the brain to re-adjust, but to make lifestyle changes to avoid drugs. Think how hard it is for people trying to lose weight—they try different diets, exercise for a while, and lose a few pounds only to gain them back…until they can make lasting changes to keep the weight off. Same with quitting drugs—it may take several rounds of treatment before it sticks. Research shows that brain development continues well into a person’s twenties. Alcohol and drugs can affect this development, and contribute to a range of problems. People unable to stop using drugs can be helped with counseling (“talk therapy”) where they can learn to change their behavior. There are medications that can be added to the treatment plan for some drugs (including tobacco, alcohol, heroin, or pain pills). Treatment varies for each person, depending on the type of drug(s) being abused and the person’s specific situation. For a Step-by-Step Guide on how to find the right treatment, check out: http://www.drugabuse.gov/related-topics/treatment. Repeated drug use can reset the brain’s pleasure meter, so that without the drug, you feel hopeless and sad. Eventually, everyday fun stuff like spending time with friends or playing with your dog doesn’t make you happy anymore. When you go to college you will experience a lot of changes in your life. Even though you are moving on to new and exciting things it can be stressful. It is important to continue to take care of yourself. If you are receiving mental health or substance abuse treatment now, be sure to find out where and how to continue treatment when you get to college. The college counseling office is a good place to start, or check with an advisor. You can call them and arrange to visit them before you start school. Although we know what happens to the brain when someone becomes addicted, we canrsquo;t predict how many times a person must use a drug before becoming addicted. A person’s genes and the environment each play a role. We are all different and unpredictable so any use is risky. If you are in high school and you are receiving treatment for drug problems—it is important to continue treatment after high school—whether you are in college or working. The minimum legal drinking age in all states in the U.S. is 21. It takes teens fewer drinks than adults to feel the same effects. Kids who drink alcohol are not only breaking the law, but they also risking dangerous and sudden consequences, such as alcohol poisoning. Alcohol is the drug of choice for American kids—more kids drink than smoke cigarettes or do other drugs. We have alcohol experts here today—so ask a question about it! Binge drinking means drinking so much within about 2 hours that the amount of alcohol in your blood (also called blood alcohol concentration or BAC) reaches 0.08g/dL, which is considered legally intoxicated. All states have ’zero-tolerance” laws, which make it illegal for anyone under age 21 to drive after drinking any alcohol. Research indicates that alcohol use during the teenage years could interfere with normal adolescent brain development and increase the risk of developing an alcohol use disorder. Underage drinking contributes to many problems, including injuries, sexual assaults, and even deaths. 2 out of 5 15-year-olds report that they have had at least 1 drink in their lives. 24% of 11th graders say they have been in a car when the driver has been impaired by alcohol or drugs. In 2012, about 9.3 million people ages 12–20 (24.3 percent of this age group) reported drinking alcohol in the past month (24.7 percent of males and 24 percent of females). Marijuana is the most commonly used illicit drug in the U.S. Short-term effects of marijuana use include euphoria, distorted perceptions, memory impairment, and difficulty thinking and solving problems. Research shows that about 1 in 6 of those who start marijuana use as a teen will become addicted. Marijuana users usually inhaled more deeply and hold their breath longer than tobacco smokers do, which further increases the lungs' exposure to chemicals in the smoke, resulting in irritated lungs. Longtime marijuana users report being less satisfied with their lives, experiencing memory and relationship problems, poor mental and physical health, lower salaries and less career success. No, everybody is NOT doing it. Only about 20% of 12th graders say they have smoked weed in the past month. Marijuana affects skills required for safe driving—alertness, concentration, coordination, and reaction time. So it’s not safe to drive high or to ride with someone who’s been smoking. Marijuana is linked to problems in school. Marijuana’s negative effects on attention, memory and learning can last for days and sometimes weeks—especially if you smoke often. Research shows that about 9% of users become addicted to marijuana, but this number increases to about 17% among those who start young, and 25 to 50% among daily users. Ask our scientists about marijuana and addiction. Long-term marijuana users trying to quit can have withdrawal symptoms including: irritability, sleeplessness, decreased appetite, anxiety, and drug craving, making it even harder to quit. Did you know that if you use marijuana regularly as a teen, your IQ level could actually drop as an adult—even if you stop using it? 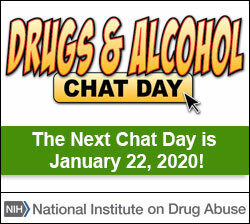 Read about it on the NIDA Web site: http://www.drugabuse.gov/about-nida/directors-page/messages-director/2012/09/marijuanas-lasting-effects-brain. A common myth is that marijuana is harmless. But research has shown that it affects learning and memory, which can affect your schoolwork; coordination and judgment, which affects your ability to drive and play sports; and can be addictive. NIDA’s 2014 Monitoring the Future Survey showed that about 12% of 8th graders, 27 % of 10th graders, and 35 % of 12th graders had used marijuana at least once in the year prior to being surveyed. Congratulations to all the other teens making healthy choices! Each day in the United States more than 3,200 young people under age 18 smoke their first cigarette, and more than 700 youth under age 18 become daily cigarette smokers. That’s way too many. If you know someone who has recently quit smoking or is trying to quit, you can share these facts with them: http://www.fda.gov/tobaccoproducts/publichealthscienceresearch/default.htm. Above all, be sure to let them know you’re proud of their decision to become smoke-free. More than 1,300 people die each day in the United States because of cigarette use—that is nearly 1 person every minute. A menthol cigarette is still a cigarette—complete with all the chemicals and addictiveness of any other tobacco product. Flavoring isn’t going to make it any safer. In fact, research shows that menthol cigarettes may be more addictive than non-menthol cigarettes and could make it even harder for smokers to quit. A study in 2014 showed that the use of electronic cigarettes (e-cigarettes) is high among teens. In the past month, about 9% of 8th graders, 16% of 10th graders, and 17% of 12th graders had used e-cigarettes. Ask our scientists about e-cigarettes. Although some believe that hookah (water pipe) is less harmful than smoking cigarettes, it still delivers the addictive drug nicotine and is at least as toxic as cigarette smoking. In fact, research shows that hookah smokers may absorb even more of the toxins found in cigarette smoke because a 1-hour hookah session involves inhaling 100–200 times the volume of smoke from a single cigarette. More than 49,000 non-smokers in the U.S. die every year from heart disease and lung cancer caused by secondhand smoke. Nicotine addiction can be very powerful. 3 out of 4 teens who think they will stop smoking in a few years don’t! On average, every cigarette takes 11 minutes off your life. Smokers die at least 10 years earlier than nonsmokers. Lung cancer is the leading cause of cancer death in the United States, and cigarette smoking is responsible for nearly 90% of those deaths. Even smoking just a little bit opens the door to addiction and smoking-related diseases. In fact, research shows that even just a few cigarettes now and then can lead to cravings and other symptoms of addiction in some teens. Many people who attempt suicide tell someone first. Listen, be respectful, and don’t leave them alone. Try to get your loved one to seek immediate help from their doctor, nearest hospital emergency room or call 1-800-273-TALK (8255). Learn more about the warning signs here: http://www.nimh.nih.gov/health/publications/suicide-a-major-preventable-mental-health-problem-fact-sheet/index.shtml. Sadly, more than 30,000 people die each year by suicide. Suicide is consistently the third leading cause of death for young people ages 15 to 24. Did you know that mental illnesses are brain disorders? There are differences in the structure and the way the brain functions in people with a mental illness. Causes of most mental illnesses are not currently known, but the best evidence suggests a combination of influences such as biological, environmental, and social factors. Researchers are trying to find out the exact causes. Heroin often contains toxic contaminants or additives that can clog blood vessels when injected leading to the lungs, liver, kidneys, or brain, causing permanent damage to vital organs. Some common household products used as inhalants to get high can have permanent effects including: hearing loss, limb spasms, central nervous system or brain damage, bone marrow damage, and possibly death from heart failure or suffocation. Long-term inhalant use results in nerve cells not being able to do their job, which can cause muscle spasms and tremors or even permanent difficulty with basic actions like walking, bending, and talking. Younger teens are more prone to experimenting with inhalants that seem like harmless common products. A study in 2014 showed that about 5% of 8th graders, 3% of 10th graders, and 2% of 12th graders had abused inhalants at least once in the past year. Inhalants are among the first drugs that preteens or teens abuse. In fact, they are one of the few types of substances that are abused more by younger teens than older ones. Inhalant abuse, if continued, can become chronic and continue into adulthood. Opioids (such as the pain relievers OxyContin and Vicodin), central nervous system depressants (like Xanax or Valium), and stimulants (such as Ritalin and Adderall) are the most commonly abused prescription drugs. Many people think that abusing prescription drugs is safer than abusing illicit drugs like heroin because the manufacturing of prescription drugs is regulated or because they are prescribed by doctors. But that doesn't mean these drugs are safe for someone other than the person with the prescription to use. Did you know that more people die from overdoses from prescription painkillers (like Vicodin and Oxycontin) than die from heroin and cocaine combined? Research tells us that most teens who abuse prescription drugs get them from friends or relatives and to a lesser degree from their own prescriptions. Is this a problem at your school? Ask our scientists about Adderall and other commonly abuse prescription drugs, such as Ritalin, Xanax, and Vicodin. Drug abuse by any method (not just injection) can put a person at risk for contracting HIV. Drug and alcohol intoxication affect the way a person makes decisions and can lead to unsafe sexual practices, which puts them at risk for getting HIV or transmitting it to someone else. Abusing any type of mind-altering drug can affect judgment and inhibition and can put you at greater risk for HIV and other sexually transmitted diseases (STDs). To learn the link between drug abuse and HIV, check out: http://hiv.drugabuse.gov. High levels of ecstasy in the blood stream can be life-threatening; they increase the risk of seizures and affect the heart's ability to maintain its normal rhythms. Call it “Molly,” MDMA or Ecstasy—teens are using it less. In 2001 just over 6%, of 10th graders were using it, but last year, only about 2% were using it. Researchers have seen memory loss among regular users of MDMA. Eating disorders often appear during the teen years. They are marked by extremes. Common types include anorexia (extremely restricted eating); bulimia nervosa (compulsive forced vomiting or laxative use to compensate for over-eating), or binge-eating (severe uncontrolled overeating). They are real, treatable medical illnesses, and nothing to be ashamed of. Ask for help if you think you might have an eating disorder. The high from snorting cocaine is brief—from 5-30 minutes. So to stay high, a cocaine user has to take the drug again and again. This is why cocaine is sometimes abused in binges—taken repeatedly within a short period of time, at dangerously higher doses each time. In 2014, almost 7% of high school seniors used the stimulant Adderall (often prescribed for ADHD) for non-medical reasons. Stimulants like cocaine cause the body’s blood vessels to narrow, constricting the flow of blood, which forces the heart to work harder to pump blood through the body. The heart may work so hard that it temporarily loses its natural rhythm. This is why there have been many cases of people dying suddenly from heart attacks after using cocaine. Some people take prescription stimulants without a prescription of their own thinking the drugs will make them “smarter” on a test. However, no clear evidence exists for improving performance in people who do not have ADHD. Some research suggests that stimulants may actually dampen creative thinking. Although more studies are needed, current research shows this does not work.